There are no two ways about it. Having twins is expensive. You have to buy two of everything from cots to highchairs or even larger, more expensive versions of products like changing bags, playmats and, of course, double buggies. Furthermore, parents of twins struggle to find retailers that stock more than one or two products designed for twins. This becomes especially difficult when choosing a double buggy. Without being able to try, touch, push or collapse their chosen buggy before they buy, parents of twins are at risk of making a costly mistake because they are forced to buy online with little help or advice. With the average price of a double buggy on mothercare.com being £454, it’s something all twin parents would like to avoid. Highh Street retailers don’t stock products that are designed for twins – it’s a simple supply and demand issue. According to the Multiple Birth Foundation, less than 2% of all UK births is a multiple birth. However recent figures show this is rising. The National Office of Statistics states that the number of multiple births rose by 6.8% between 2000 and 2009. Furthermore, the National Office of Statistics has released new figures showing that the multiple birth rate has increased to 16.1 per 1,000 women in 2011 compared with 15.7 in 2010. The increase in multiples should be a wake-up call to retailers, especially true locally because 15% of all multiple births in 2011 were in Hertfordshire. In the absence of products in store that parents of twins can browse, a new website is available that provides advice for those that are pregnant with twins, Frankie Mortimore (a Mum of twins herself) created www.designedfortwins.co.uk. It is a review website where parents of twins can review and recommend, products designed for twins, to each other. Frankie quickly found that advice and support from other twin parents was invaluable when her twins were born so she wanted to create a website that would be both a free and useful resource for parents of multiples. One of the most reviewed products on Designed For Twins website is the double buggy. Which is best – a tandem or side-by-side? Will it fit through your front door? Is it too big for your car boot? 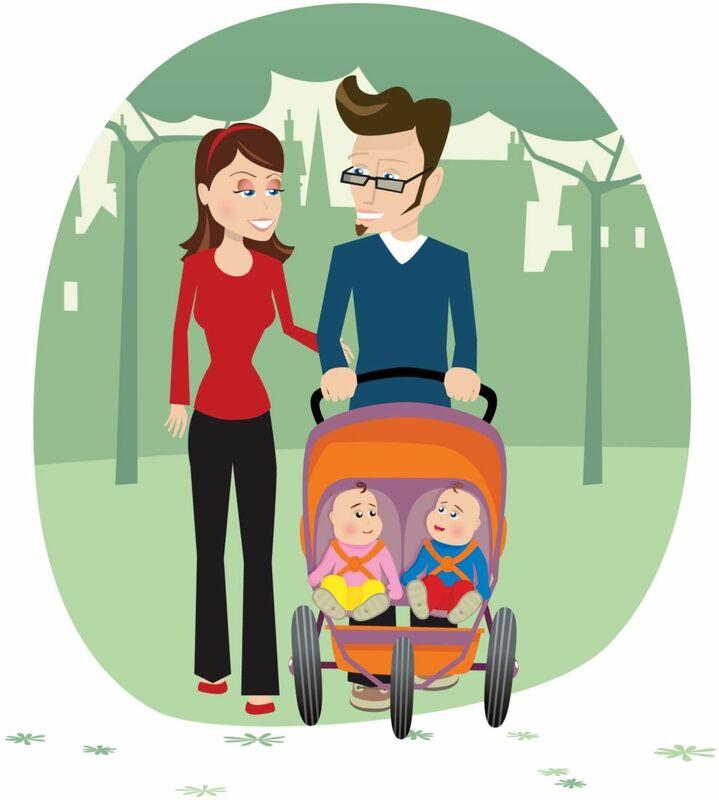 This is where Designed for Twins can help because it shares the reviews and recommendations of parents of twins – some of whom have made costly errors by choosing the wrong double buggy themselves: who have thankfully shared these views on the website. A poll on Designed For Twins’ Facebook page identified one follower who had been through seven double buggies before she found the right one! From all the double buggy reviews received from parents of twins on Designed for Twins are the key points below :a summary of the most talked about issues. Is it easy to collapse and put up? Can you lift it into your car boot? Will it fit in your car boot when collapsed? Do the seats recline for newborns or can you add carry cots? Will it fit through your front door or back gate? Is it easy to push and steer – can you do it with one hand? Does it have good suspension or air filled tyres for ‘off road’ walks? Is there enough space in the storage baskets? Will it last until your twins no longer need it – around 3 years old? Is it comfortable for your twins? Is the safety harness easy to use? Do the seats allow twins to sit fully upright? Does it have a bumper bar for when twins are sitting upright? Do you want your twins to face you or face forward? Does it have a hood that will protect your twins from sun and rain? Constant online research keeps the website up to date with products that are suitable for twins, and any new products are then shared on Facebook and Twitter allowing parents of twins to submit their reviews. So make sure you follow them to find out more.